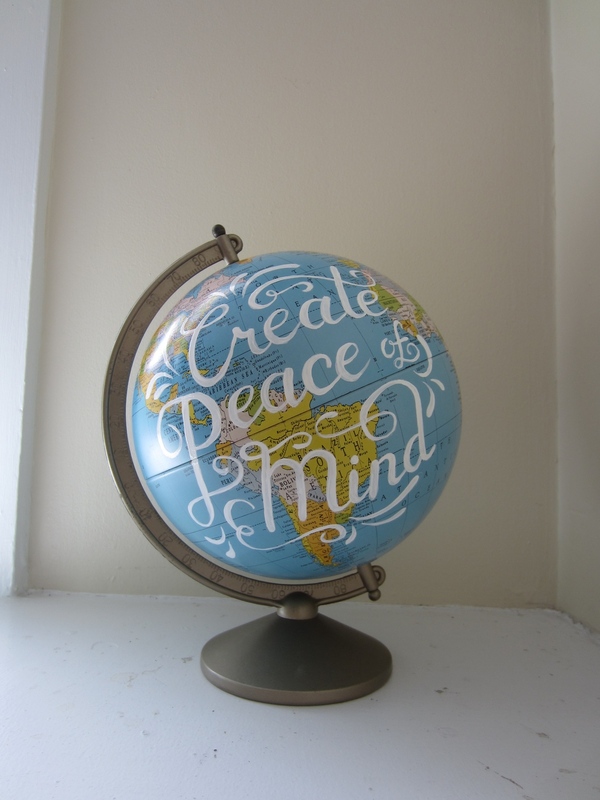 I was recently commissioned to hand-paint a collection of vintage globes for PeaceLove's annual "Peace of Mind" awards. 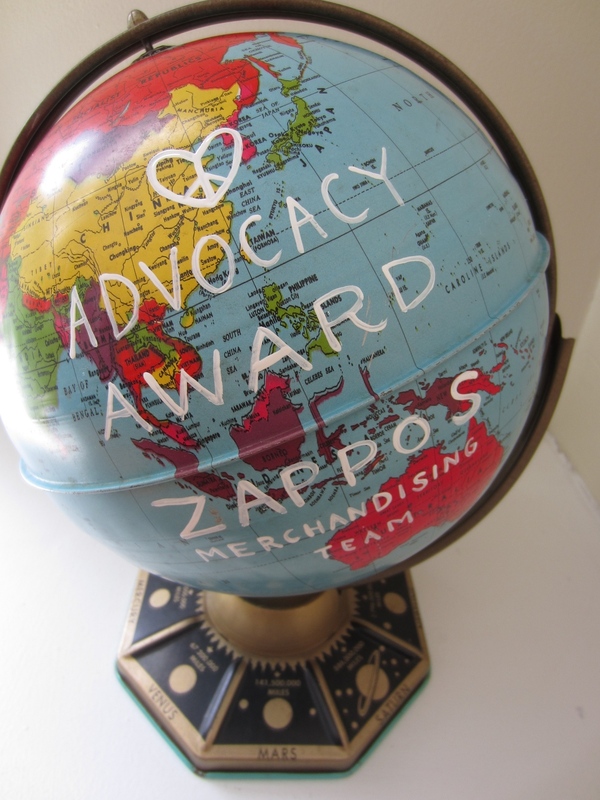 The awards were given to different organizations and individuals who are helping to change how people think about mental health. 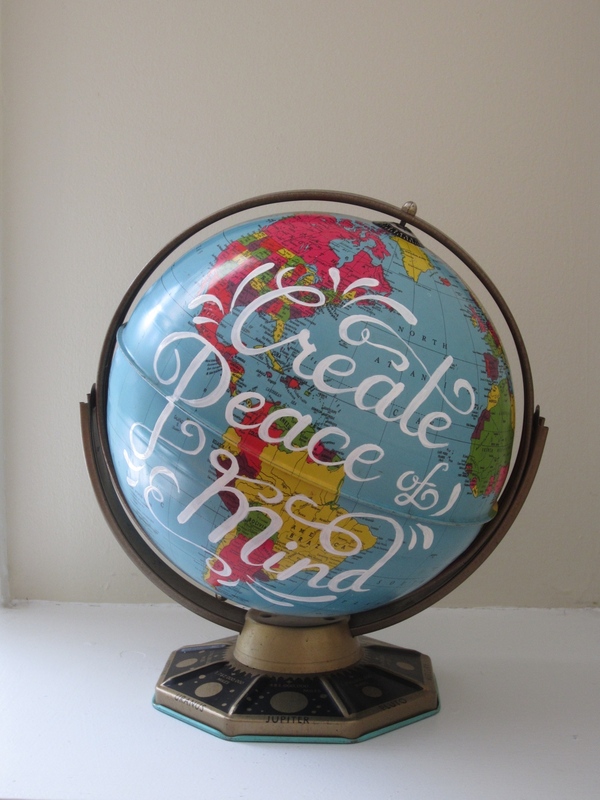 Painting the lettering on each globe was a treat, and I'm thankful to be working with such an amazing company.